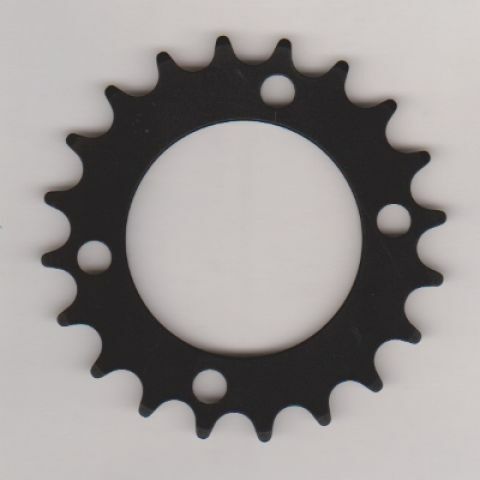 20 T chainring for Shimano XT-Kurbel FC-M8000 and other cranks with same positioning and size of bolt holes. Does not fit to Shimano XTR FC-M9020. May replace f.e. a 22 T. These two teeth less will increase the power by about 10 %. Easy to use with all common chains for 11 speed derailleurs. Bolt holes are placed asymmetrically = within a oblong not a quadrate. 7075 alloy, endurable anodized 8% discount from 5 items. 22 T chainring for Shimano FC-M8000 and other cranks with same positioning and size of bolt holes.